Who doesn’t remember as young children being made to wear certain clothing we didn’t like? Then, as we got older, fighting at times with our parents over the clothes we loved? I still remember being dressed in an unlined woolen dress that scratched me with every move and felt like sackcloth against my skin. A child’s only defense is to grow out of such clothes as quickly as possible, or find a way to make sure the garment meets a premature demise. Is this nothing more than “clothes make the High Priest”? Some commentators state that the purpose of the vestments was for the Jewish people to recognize the unique and spiritual stature of the High Priest. That suggests that our teenage angst was justified, and it’s all about others’ perceptions and external reality. But that would be a very superficial interpretation. What if the outer garments we wear affect us on an internal level, which, in turn, can create a new external reality? So which is it: external or internal reality? 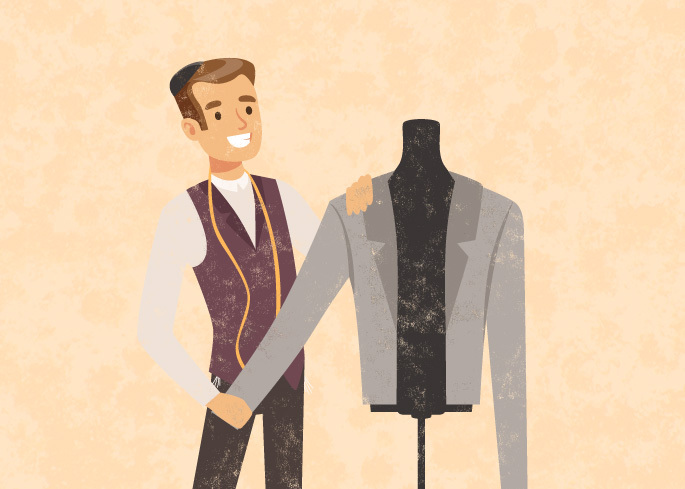 The Torah describes the vestments as being for the “splendor and glory” of Aaron. You may think that these two words mean basically the same thing, but they don’t. “Glory” refers to our G‑d-given qualities—our innate strengths and gifts. “Splendor,” on the other hand, refers to what we do with them. There is a saying that our life is a gift from G‑d, but that what we do with that life is our gift back to G‑d. In order to make that remotely meaningful, we have to understand the exalted essence of a human being. That’s a challenge at any time, but put yourself in Aaron’s shoes (or sandals) for a moment, taking up the task of representing the Jewish people as the High Priest. We We usually think that attitude drives behavior usually think that attitude drives behavior. That makes sense. After all, we see how our actions flow from our beliefs and thoughts. Torah tells us that the reverse is just as true, if not more so. For Aaron to assume his role and serve the Jewish people, he needed to feel worthy to understand his inherent royal nature. The holy vestments (as well as the anointing oil) were vehicles to get to that truth. Interestingly, nothing could serve as a barrier—not even so much as a bandage—between Aaron’s body and his vestments. This prohibition is meant to teach us that the physical (and emotional) impediments we place between holiness and ourselves, and between G‑d and us, are foreign objects that don’t belong there. We are all glorious. We all have G‑d-given qualities, unique strengths and talents. But unless we know that they are there, we can’t tap into them. Unless we know who we are, we can’t comprehend our mission and begin to actualize our potential. May we all use the lesson of Tetzaveh to clothe ourselves in new behaviors and new ways of being, to remove barriers and create a new internal reality sourced in our “glorious” essence so that we can reveal a new external reality and create the “splendid” life that we are meant to live. If you could imagine your life as the gift you want to give to G‑d, what would your life look like? Are feelings of unworthiness, or the fear that you’re not “up to the task,” holding you back in your life, whether in your career, relationship, or personal growth? List a few examples where you feel this way. How can you use the situations above and take a “fake it ’til you reveal it” approach? List five practical ways you can start “acting” in the way you want to become your new truth. 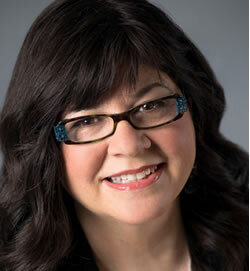 Hanna Perlberger is an author, attorney, spiritual teacher and coach. She speaks to people from all walks of life and helps them in their search for greater happiness, meaning and spiritual engagement. This article is excerpted from A Year of Sacred Moments: The Soul Seeker’s Guide to Inspired Living. clothes do not make a man - they only make a woman. Nice clothes are just a poor prosthesis of self esteem and worth. Mothers are wrong rationalising primitive animalistic instincts!